Cookies are small text files which are downloaded onto your device when you visit a website. Cookies help to make your experience on the website as smooth as possible, for example helping you to move between pages and remembering preferences. Cookies are used to make our website more user friendly and to enable us to anonymously collect information on user behaviour. Here is a list of the main type of cookies and what they are used for. We have described them using the categories recommended by the International Chamber of Commerce in the ICC UK Cookie Guide. These cookies are essential in order to enable you to move around the website and use its features, such as accessing secure areas of the website. Without these cookies we may not be able to provide you with all of the services you require. These cookies collect information about how visitors use a website, for instance which pages visitors go to most often, and if they get error messages from the website. These cookies don't collect information that identifies a visitor. All information these cookies collect is aggregated and therefore anonymous. It is only used to improve how a website works. These cookies allow the website to remember choices you make (such as your user name, language or the region you are in) and provide enhanced, more personal features. For instance a website may be able to provide you with local weather reports or traffic news by storing in a cookie the region in which you are currently located. These cookies can also be used to remember changes you have made to text size, fonts and other parts of web pages that you can customise. They may also be used to provide services you have asked for such as watching a video or commenting on a blog. The information these cookies collect may be anonymised and they cannot track your browsing activity on other websites. These cookies are used to deliver adverts more relevant to you and your interests. They are also used to limit the number of times you see an advertisement as well as help measure the effectiveness of the advertising campaign. They are usually placed by advertising networks with the website operator's permission. They remember that you have visited a website and this information is shared with other organisations such as advertisers. 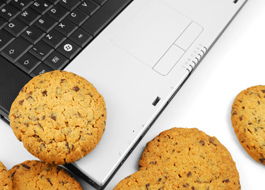 Quite often targeting or advertising cookies will be linked to site functionality provided by the other organisation. The Hub does not use these types of cookies. A unique name - set by the website. A value - the information within it that recalls your previous activities. An expiry date - which determines how long the cookie will remain active in your browser before automatically being deleted. Click here for more detailed information about the specific cookies used on the Hub website, how they work and when they automatically expire. If you disable cookies you may not be able to use the full functionality of our website. It is possible to specifically set up your device to manage all cookies in a specific way although any settings will apply to all websites you visit. For further information please see the section 'Want to know more about Cookies?' below. The Hub cannot accept any responsibility for the accuracy of the content of these documents or for any losses arising from following the advice they provide.